I have been packing lunches for my two oldest sons who are home from college and working for the pool company who is installing our pool. Our grocery bill has doubled having all the boys home but I love it. In one of my now frequent visits to the store for more snacks and lunch foods, I was in the deli/bakery area where they keep those Pretzel Thins, well, that's what we call them; they're actually called Crisps. Gosh I love them in hummus or with cheese. My oldest requests the plain ones and dips in cream cheese, 2nd oldest likes a flavored ones like the Jalapeño Jack and the youngest has a sweet tooth so the cinnamon sugar and chocolate are right up his alley. On this particular trip, I couldn’t believe how many varieties of these pretzels are now on the market. Then ironically, when I was looking at my phone in between putting snacks away, this popped up on my feed and it got me thinking about waaaay more than pretzels. It got me thinking about how not everyone likes the same things including people. About how sometimes we twist ourselves to fit someone’s else’s version of us. I take it personally when someone doesn’t like me. I think I’m cool and heartfelt so why don’t they? The devil sits on our shoulders and whispers things in our ears like “she doesn’t like you,” “you’re not worthy,” or “you don’t belong here!” There’s so many reasons why people won’t like you or want to be around you. People won’t like you because you’re nice. People won’t like you because you’re rich or poor. People won’t like you because you’re thin or heavier. People won’t like you because of the color of your skin or hair. People won't like you just based on the way you look....period. People won’t like you because you’re no longer on their radar at work, school, church, etc. People won’t like you based on gossip, miscommunications or assumptions. You get the picture. FLICK THAT DEVIL OFF YOUR SHOULDER RIGHT NOW! The only person you truly need to like you is God and you got that sista because he loves us all no matter who you are, what you do or what you look like. Your flavor and your style won’t be for everyone and that’s ok. If you have to twist yourself like a pretzel in order to maintain a relationship or get someone to like you, it’s not worth doing. I’m not everybody’s pretzel thin but I am the flavor my family and true friends love. And I bet you’re just the right amount of spice and sweet for your loved ones too. Beautiful and twisted in life in your own way. PS: AND if we’re really being honest, I like a buttery, hot, fat dough pretzel waaay better than the pretzel thins anyway...they look plum anorexic, lol. HAPPY MONDAY ALL YOU BEAUTIFUL SOULS!! This is a great post, Andrea! How true that we try to "twist" ourselves to please others. 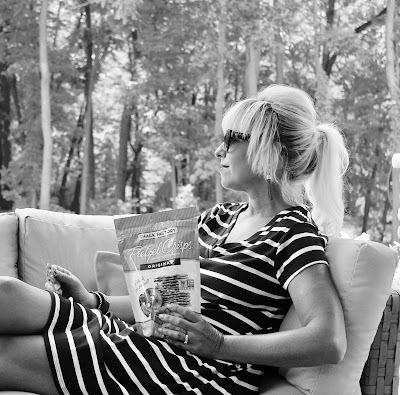 I do love these pretzel crisps, but you are right, a big, soft doughy pretzel is so much better! Love this connection you made. Happy Monday! Wonderfully done my friend! I am the very same way, I take it so personally when someone doesn't like me, it hurts for sure. I used to tell my students it's not your business what other people think of you and it's true - it's better not to know. There's no way we can please everyone and we can be the juiciest, sweetest peach and we'll meet someone who just doesn't like peaches no matter what! You are fabulous as is my friend - perfect from head to toe! Such a great post. I needed to hear this today. At the end of the school year, Ella and I dealt with false accusations about her and it broke my heart. Turns out the mom just doesn’t like me. I have been struggling with that. But I just put that Mom on my prayer list and pray for her. You are my enchilada, sweet lady, and anyway I'm not keen on pretzels. I worked out some years ago that some people will just not like me, no matter how much I pretzel, I stepped away from the pretzel and that's given me peace. See how much I love you tomorrow when I steal you! Hugs, O she of great loveliness, x. LOVE the message behind this post! So important to always stay true to yourself and know that you can't be liked by everyone!! Happy Monday friend! What a great reminder!! How could anyone not love you?? You're so sweet! Preach it, Sista! I totally agree with everything you said, but I also find myself (most of the time) not caring what other people think about me. Either you like me and want to be my friend, or you don't. But sometimes, yes, it still hurts when you know that someone doesn't want to be your friend. I am battling just the opposite with Alise right now. She is so into drama and melodramatic that I don't take her middle school feelings seriously. At her age, it hurts very much that someone doesn't like her or someone has treated her unfairly. I have to remember that her feelings and "world" are important to her right now. Love you! This is so sweet and just the kind of reminder I can use from time to time. Thanks sweet lady. What a cute and clever title for such a thoughtful post! You're totally right. This is a big lesson I've learned in teaching. I won't be every students' cup of tea, but that's okay! Oh, and now I'm hungry for pretzel thins! Well if this isn't the truth!! Preach, girl! And I'm with you on the hot buttery doughy pretzels... those are by far the best! 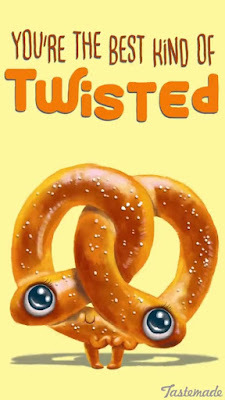 I love the pretzel thins but a nice hot buttery one sounds sooo good right now! You are exactly right. I wonder where we get the idea that we need to be the end up for everyone? How boring that would be? Besides, I love potato chips even better--ha ha!! Andrea!! Thank you so much for this posting. My morning has not gotten off to a good start due to a coworker not liking me for no reason. This is just what I need to hear today so thank you. Amen sister! It is downright exhausting trying to "be" what everyone wants you to be just to be accepted. I used to spend way to much time worrying about what others thought of me. It's funny because since hubby had surgery, going out in public we thought would be hard. Everyone would stare. Ha...the funny thing is most are so self absorbed they don't even notice! Good social experiment for sure. You go girl! I love this post, and even more I love your heat! You are beautiful inside and out. Give me a buttery, doughy pretzel any day of the week!!! Auntie Anne's for life!!! This is such a great reminder this morning. Love you and your sweet heart! Okay, this is the perfect post! Love the message behind it! I've found that social media contributes SO MUCH to the comparison game! It used to be the magazine covers in the store checkout line and now it's scrolling through IG. It's so important to remember how we've been made in the image of God which is perfect! I have to remind myself that many times when I feel the need to compare myself to someone else. Love you, girl! You are so right! Such great advice! I love this message and the analogy! It's hard not to take it personally because we think something is wrong with us when people don't like us. But maybe the problem really rests with them. Thanks for sharing your thoughts! Yes to this. This resonates sooo well with me. I just need to remember it more often! So true! And I think that with social media it's harder to want to fit yourself into a specific mold in order to get more likes or followers. Part of what makes us so unique is the fact that we're ourselves! Yes to this perfect reminder! I frequently have to tell myself this very thing. You're not everyone's cup of tea..or pretzel thin! ;) Happy Monday! What a brilliant post! We expose ourselves to a lot of curated lives, polished images and ideals of the perfect this that and the other and you are totally right - you've got to just be yourself, despite the indirect pressure of social media, marketing etc. You are now in my eyes the YODA of the blog world - not because of the green skin or funny robe haha but the fun words of wisdom! 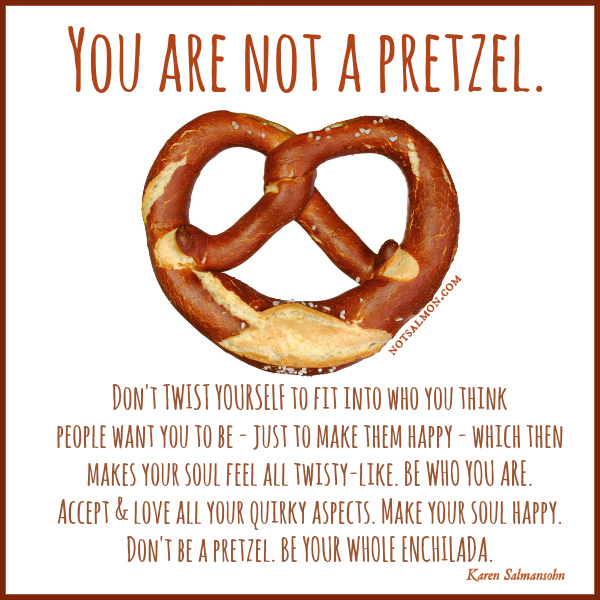 :) Love your posts x BTW I've never tried a pretzel but I love the analogy. I lol'ed at your last comment! Yes ma'am, I needed this today to remind me of why I let go of a past relationship. I am a honey mustard and onion girl by the way, the best with hummus! Well, that was just plum good Andrea and I think deserves being published in something like Reader's Digest or some women's magazine. It has such truth! I love the pretzel thins and use them for hummus as well but I'm not sure I've ever seen them in all the flavors you mentioned. I'll have to look closer. So glad our paths crossed, you are a dear! So true - this is one of my favorite things you've posted on the blog. It is exhausting when we try to please everyone instead of being ourselves! Thanks for always "keepin' it real" around here! What a great post. Those words are so true. I never thought of life like a pretzel but dog gone it, you hit the nail on the head. I have always said, “if you have to work to keep a friend, then they are not a real friend. So guess what. I stopped texting my friends “first” just to see what happend. Well, Christmas, and Birthday has passed and not a single call or text from them. Oh well, Im not getting “twisted” about it. Haha. These words are so true, friend!! We are always trying to twist our way into people's acceptance and good graces, aren't we? It's annoying and SO not needed! Thank you for starting my week off with a good kick in the pants. I needed it!! I love this SO much, Andrea!! I tend to take things like this personally too -- and somehow I always attribute it to people not liking me because "I'm fat." Such a great way to start the week, thanks Andrea! Such a great post, my friend, and so true. And ha - I was just eating pretzel thins this weekend! Great post and analogy! As women we do try to please others just because it's in our nature but there is something to be said about walking your own path and being yourself. We are all different for a reason and embracing that fact is essential. After all, God and our loved ones accept us for who we are - chocolate, cinnamon or plain! I hope you are having a great start to the week so far! I take things so personally, too. Why do we? Great post, sweet friend! Great reminder, Andrea! I love it! Thank you so much! I just LOVE this, lady- and it's so true! We're not always everyone's cup of tea- although I think you're an amazing sweetheart of a pal and cannot imagine why someone wouldn't like you! But this is a great message- you do you, boo! You, my dear darling, sweet as pie, refreshing as a pool on a hot summer day, friend, certainly don't need to twist yourself for anyone! You are a complete joy and always a ray of sunshine brightening everyone's day and encouraging us all continuously! Love you to pieces, girl! xoxo! This is the best advice ever. It’s so hard to not get down when someone doesn’t like you-especially if you don’t know why. But! 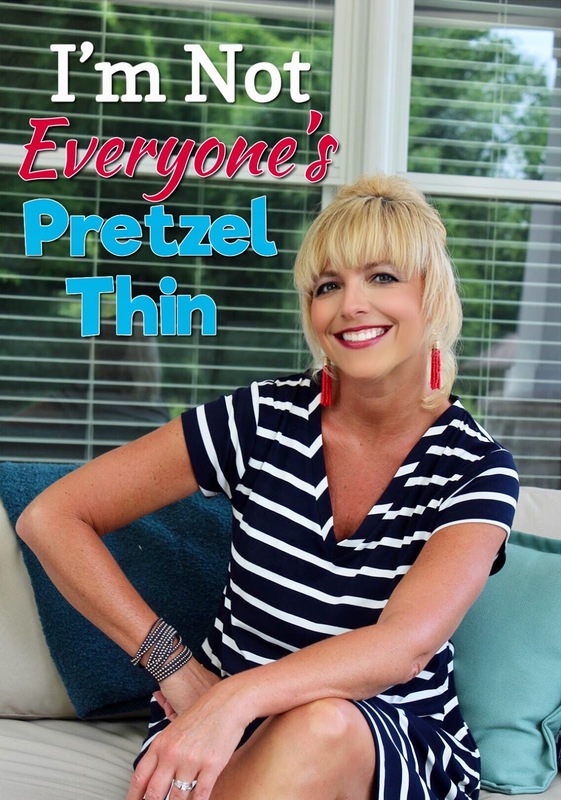 We are not everyone’s pretzel thin! You my friend are beautiful inside and out and so lovable. Thanks for this message today! Xo! What a lovely post, Andrea! I do take it personally if something doesn't like me, but then after I've given it some thought I always come to the same conclusion as you! I, on the other hand, am not a big fan of pretzels. Although here in one of my favourite coffee shops, there is a kind of pretzel which is really soft and sweet with chocolate and almonds inside and that is yummy lol! oh my gosh, I love this so much! The whole flick that devil off, so, so true! And I'm with you, I like the doughy soft pretzels. 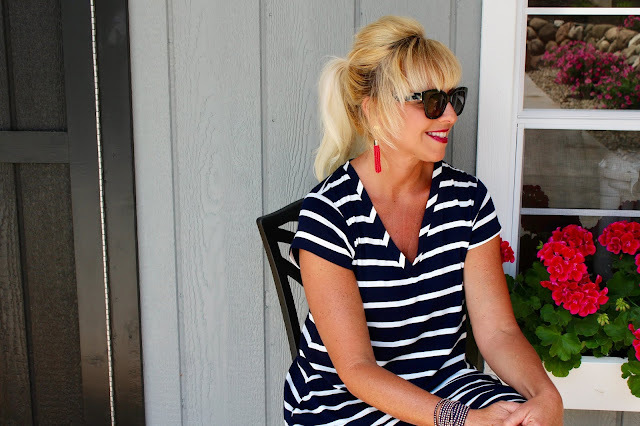 Thanks for stopping by at www.colorandgrace.com for the linkup party! Hope to see you again! Your last comment had me cracking up - yes give me ALL the big, hot, salty pretzels...with some cheese, too! But I agree. I take is personally when someone doesn't like me, but like you said, aren't going to be for everyone and that is ok! And one more - I think of them as pretzel thins, too! Love this girl. I think once I hit my 40's and the closer I get to 50 the easier this gets because dang...life is just too darn short not to be ourselves and love ourselves the way we are. First of all, I flippin love those pretzel thins...and that's what I call them too. Second of all, such a great post & reminder! If only we would see ourselves for the great worth God has given us. You're point on when you say that Satan will put thoughts in your head, and they're wrong. 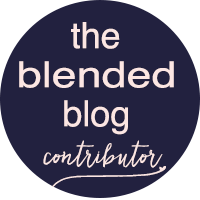 I love this post and so glad you have been linked up to the #blogcrush linky by another blogger. I agree, there will always be someone who doesn't like us and yet it's hard not to feel affronted, even when we know God loves us inspite of all our flaws. What a great post! So nice to know I'm not the only one who is always worrying what other people think. Thanks for brightening up my day! THE NINE'S DO WASHINGTON D.C.